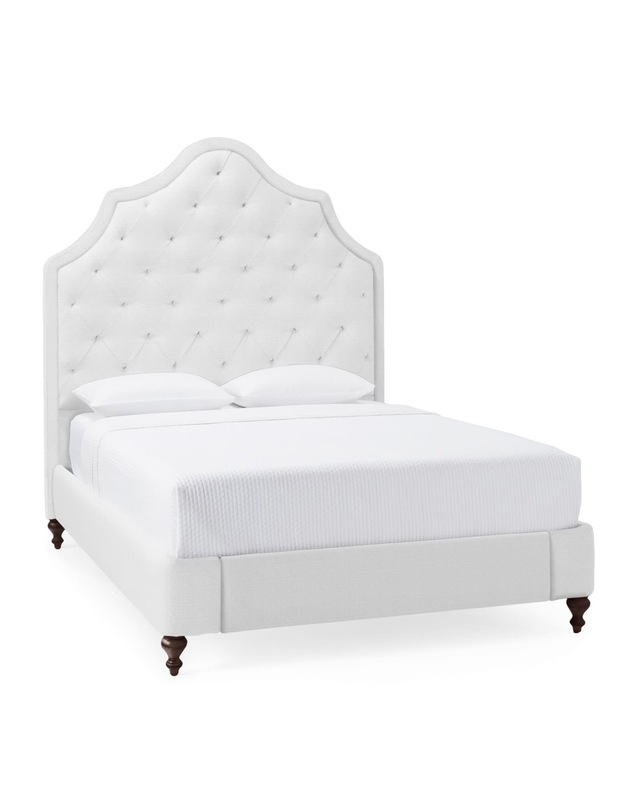 Pondicherry Tufted BedPondicherry Tufted Bed, alt="Pondicherry Tufted Bed, "
Print If you want dreamy drama, we’ve got just the thing – the regal scale and confident curves definitely make a gorgeous statement. 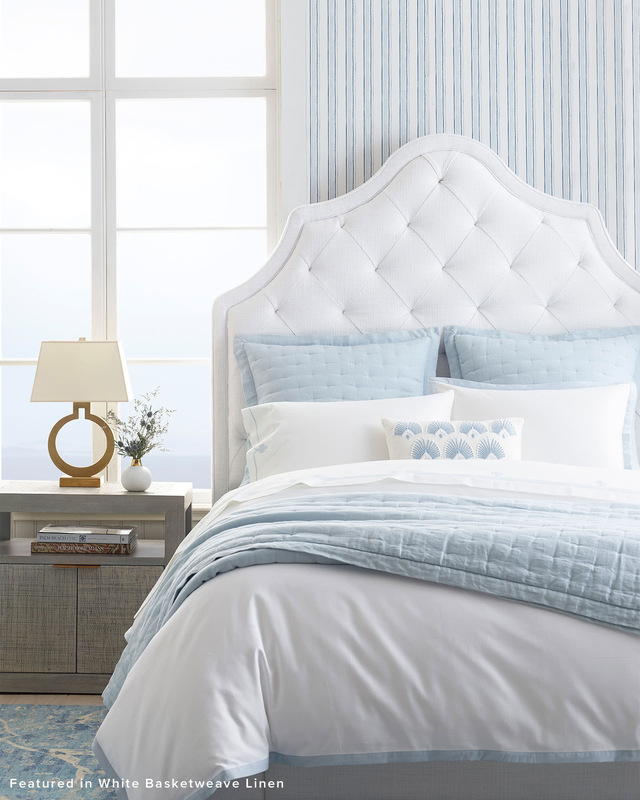 Beautiful tufting and turned-wood feet nod to tradition and elevate the bedroom to a luxurious retreat. Twin: 43”W x 82”L x 65”H. Full: 58”W x 82”L x 69”H. Queen: 66”W x 88”L x 75”H. King: 82”W x 88”L x 75”H.